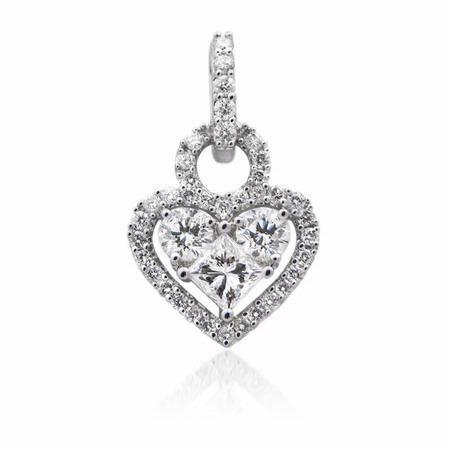 This shimmering 18k white gold heart pendant, designed in Italy, contains princess cut & round brilliant cut white diamonds of F color, VS2 clarity and excellent cut and brilliance weighing 1.20 carats total. This pendant can go with any of your existing chains or one may be purchased from our vast selection. The pendant measures approximately 21mm x 13mm.